In light of the devastation that Typhoon Yolanda (Haiyan) caused the Philippines, L’Arc~en~Ciel Philippines launches the third wave of its L’Auction! Proceeds from this auction will be donated to the Philippine Red Cross. ~~Bidding must be done in increments of 50, just keep on commenting on the image for your bids. No need to edit previous bids. *Only bids on the actual photo of the item will be valid. Any bids posted on the album won’t be considered. ~~Auction is open for both LOCAL and INTERNATIONAL bidders. Shipping fee and Handling fee will be shouldered by the bidder/winner. ~~Auction begins on November 14 until November 17 8pm. Bids after 8pm will not be considered. ~~Winners will be contacted by the Street Team through the info in the registration form. May the highest bidder win! 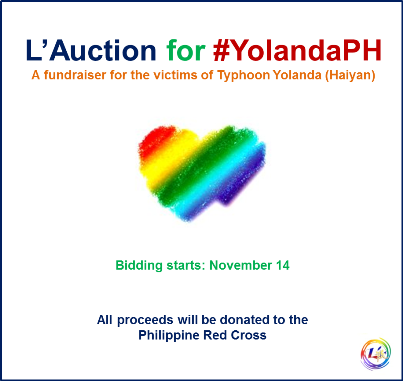 L’arc~en~Ciel Philippines is holding an auction for the benefit of #YolandaPH victims. Check out their Facebook Page (https://www.facebook.com/LArc.Pilipinas) for the Laruku goodies up for bidding. 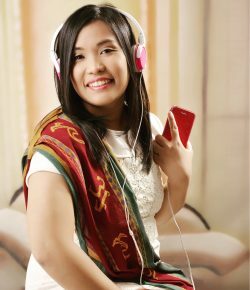 Bidding will be until November 17, Sunday, at 8 PM Manila Time.